BMW Group subsidiary DriveNow, a flexible, premium car-sharing program, will expand to offer street parking in multiple neighborhoods in San Francisco, beginning in select areas of the Mission District and will add 80 electric BMW ActiveE vehicles to the existing fleet, increasing the total number of ActiveE vehicles in the San Francisco Bay Area to 150. BMW and Green Mountain Energy Company today announced their partnership to reduce the environmental impact of the entire BMW ActiveE fleet in the DriveNow program. 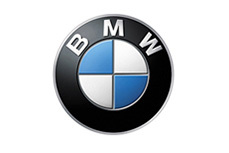 BMW of North America today announced that it will partner with Green Mountain Energy Company to offer drivers of the BMW ActiveE the choice to support renewable energy for their cars. Beginning today, the recruitment process for the highly anticipated all-electric BMW ActiveE is open in the metropolitan markets of Boston, Hartford, New York, Los Angeles, Sacramento, San Diego, and San Francisco. BMW today delivered the first all-electric ActiveE in the US and began the next chapter in its electromobility strategy. BMW of North America, LLC today announced jointly with Coulomb Technologies, Inc. that drivers of the forthcoming BMW ActiveE all-electric vehicle will be able to take advantage of the expansion of the ChargePoint® Network into the Boston Metro.